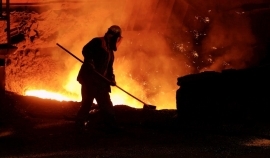 Sustainable innovation forms the basis for the new solutions of and opportunities for the future although it has not yet achieved an established programmatic policy position. 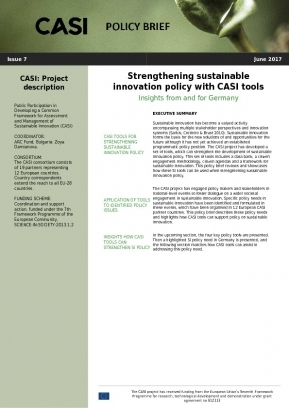 The CASI project has developed a set of tools, which can strengthen the development of sustainable innovation policy. This set of tools includes a data bank, a citizen engagement methodology, citizen agendas and a framework for sustainable innovation. 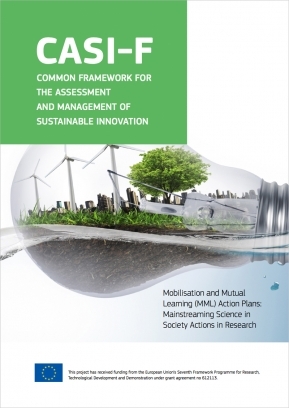 This policy brief reviews and showcases how these SI tools can be used when strengthening sustainable innovation policy. 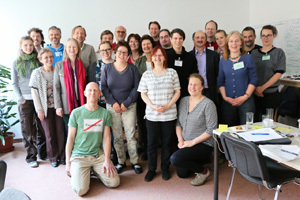 In Germany, the identified policy need is to support the creation of new forms of dialogue and joint solution development between different stakeholder groups or political levels and the involvement and empowerment of civil society and citizens. Sustainable innovation forms the basis for the new solutions of and opportunities for the future although it has not yet achieved an established programmatic policy position. 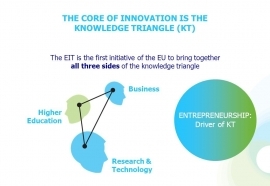 The CASI project has developed a set of tools, which can strengthen the development of sustainable innovation policy. This set of tools includes a data bank, a citizen engagement methodology, citizen agendas and a framework for sustainable innovation. 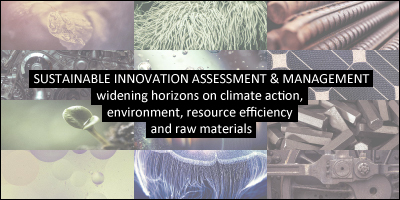 This policy brief reviews and showcases how these SI tools can be used when strengthening sustainable innovation policy. 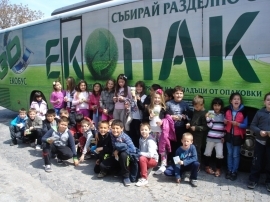 In Slovenia, the holistic approach towards public consultation as a way to obtain sustainable innovation was identified as a key policy need. 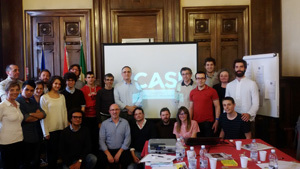 All presented CASI tools prove as useful in preparing public consultations. The citizen engagement methodology is considered applicable for development of unified methodology for organisation of public consultations. 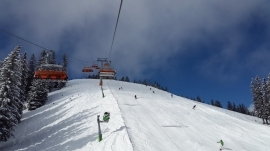 Sustainable innovation forms the basis for the new solutions of and opportunities for the future although it has not yet achieved an established programmatic policy position. 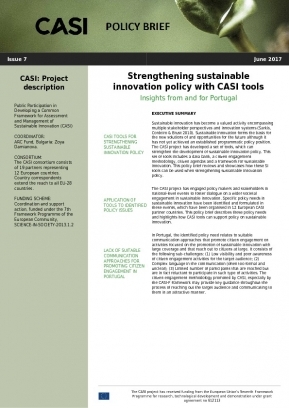 The CASI project has developed a set of tools, which can strengthen the development of sustainable innovation policy. This set of tools includes a data bank, a citizen engagement methodology, citizen agendas and a framework for sustainable innovation. 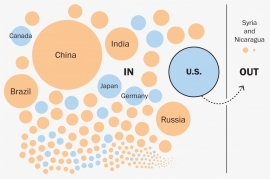 This policy brief reviews and showcases how these SI tools can be used when strengthening sustainable innovation policy. In Portugal, the identified policy need relates to suitable communication approaches that promote citizen engagement on activities focused on the promotion of sustainable innovation with large coverage and that reach out to citizens at large. 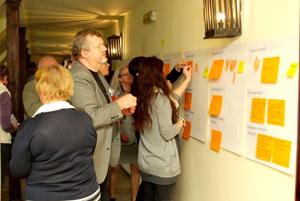 The citizen engagement methodology promoted by CASI, especially by the CASI-F framework may provide key guidance throughout the process of reaching out the target audience and communicating to them in an attractive manner.